Hanover - Hannover 96 host Hertha Berlin on Friday evening as they bid to set a club record five home wins at the start of a season, yet their capital-city guests haven't lost at the HDI-Arena in over four years (20:30 CEST). 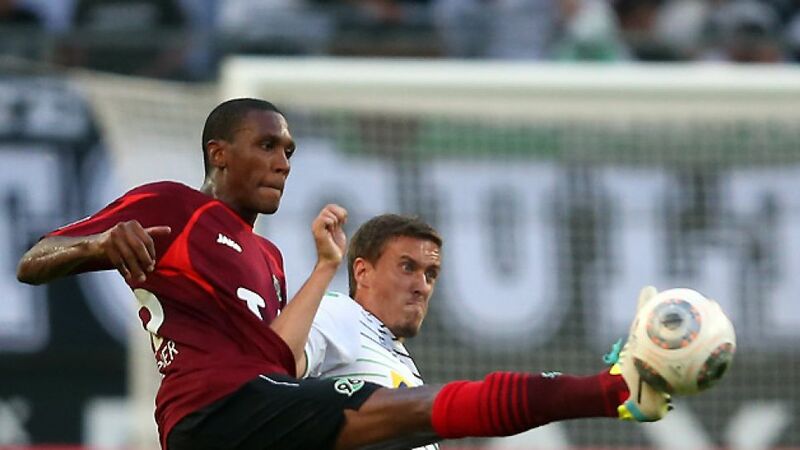 Hannover’s home form has brought them victories over VfL Wolfsburg, 1. FSV Mainz 05, FC Schalke 04 and FC Augsburg so far this season, and coach Mirko Slomka is aiming to “consolidate his side’s position in the table” ahead of the international break. Hannover currently lie fourth, six points behind Bayer 04 Leverkusen against whom they lost on Matchday 7, and this game represents a chance to close the six-point gap that was opened up last weekend. Despite confident, cosmopolitan opposition, Slomka is aiming to go into the international break “in a pleasing position”. Ron-Robert Zieler was more forthright with his targets. “We want to get back into Europe,” said the Hannover goalkeeper in an interview with herthabsc.de. Those qualities will be essential against a Hertha Berlin side who picked up a much-needed win on Matchday 7 against 1. FSV Mainz 05. The result propelled them into fifth-place, and within a point of Friday’s hosts, of whom Hertha coach Jos Luhukay was wary of during his pre-match press conference. “Hannover are obviously very good at home, and have been playing at a high level,” said the 50-year-old Dutchman. “They’re also very dangerous from set-pieces”. Luhukay also sounded a note of caution about his team’s lofty early-season positioning, “we’ve got to stay realistic, we’re doing well in the Bundesliga but these are the first steps on a very long road”. Statistics ahead of this Friday’s game would support Luhukay’s cautious approach, who as a coach in the Bundesliga has never beaten Hannover, and neither has he been on the winning side in face-offs with couterpart Slomka. Despite their coach's travails though, Hertha have become something of a bogey team for the men in red, having lost only four of their previous 18 encounters. The visitors will have to try and maintain that good record without midfielder Alexander Baumjohann (knee ligaments) and young American centre-half John Anthony Brooks (elbow). The men from the German capital are also sweating on the fitness of Anis Ben-Hatira (ankle problem), and if he doesn’t make the cut the Tunisian’s link-up play with five-goal countryman Sami Allagui behind powerful Colombian goalscorer Adrian Ramos will be missed. Ramos lines up against a defence shorn of Marcelo’s centre-back partner Salif Sane, who hadn’t missed a minute of Bundesliga action up until this weekend. According to Slomka the Senegalese defender has “hardly been able to get out of bed” with a virus, and will be replaced by Christian Schulz. Jan Schlaudraff is also in contention to start, while Mame Diouf remains absent.